Network memberships: We are a member of the KPMG network, composed by independent affiliated firms of KPMG International. As the world continues to change and we witness the increasing role of technology, discussions around tax are getting more complex and intense. Also, despite many domestic challenges, tax is more and more a global concern for global organizations (MNCs), demanding global action on managing tax issues. On the other hand, transparency, ‘fairness’ and tax governance are now everyday topics in MNCs board agendas, as governments take effective steps to make this the new tax landscape for businesses: the BEPS action plan and other OECD statements are strong evidence of this new mindset. It is in this context where leaders are being called upon to help drive tax uncertainty within their organizations and to make visible their “tax storyline” consistently with the organization’s principles and values, at the same time they are asked to have a positive contribution to society and to add value to the business. Our tax professionals are forward thinkers with a strong understanding of this new tax landscape, as well as of the business drivers and conditions across the jurisdictions in which clients operate. At KPMG we take a holistic approach to tax planning, so that clients have a consistent, robust and effective view on their tax issues and concerns. 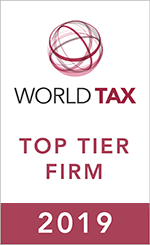 Because our tax professionals take the time to understand the clients’ business issues – not just the challenges related to tax – they also know when and how to draw on the experience and knowledge of other local and global service lines to help address these tax issues and concerns.